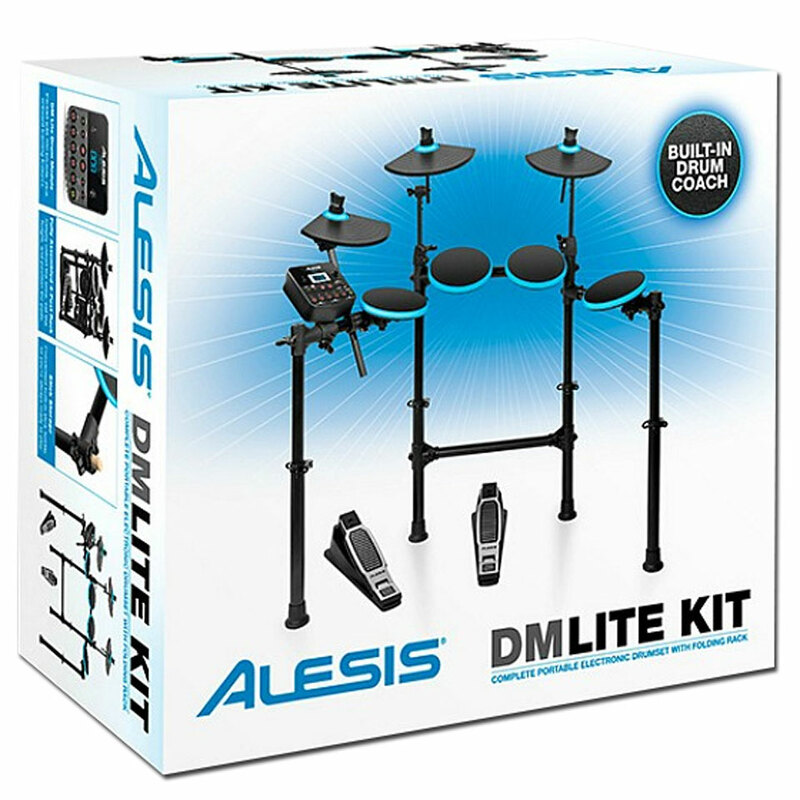 The Alesis DM Lite Kit is the ideal drumset for beginners and drummers who have some experience. All drum and cymbal pads are already mounted on a height-adjustable and completely pre-assembled rack. 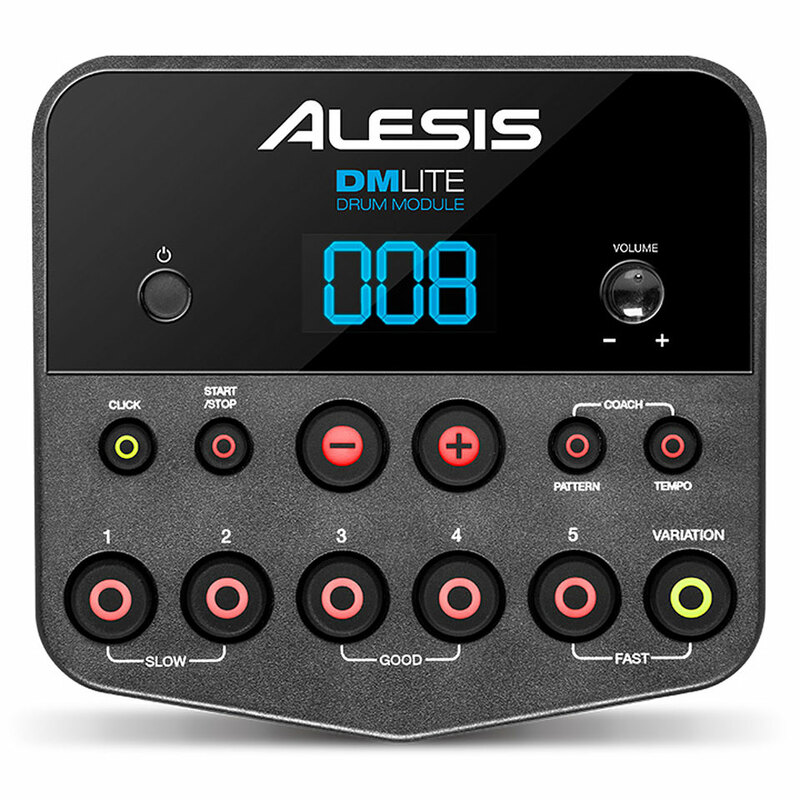 In addition to the 200 included sounds, the DM Lite module offers an integrated learning mode with exercises for playing. LED rings around the drumpads provide visual feedback and light up as soon as the pad is hit. Via the 6.3 mm stereo outputs, the DM Lite Kit can be easily connected to an amplifier or other sound system. Thanks to a 3.5 mm headphone output, silent samples are also possible in the own four walls. A 3.5 mm Aux input allows the connection of an external music player, for example, a learning CD, or the current favorite MP3 can be accompanied. The DM Lite Kit can easily be connected to a computer via USB, for example, to use recording software or virtual instruments. 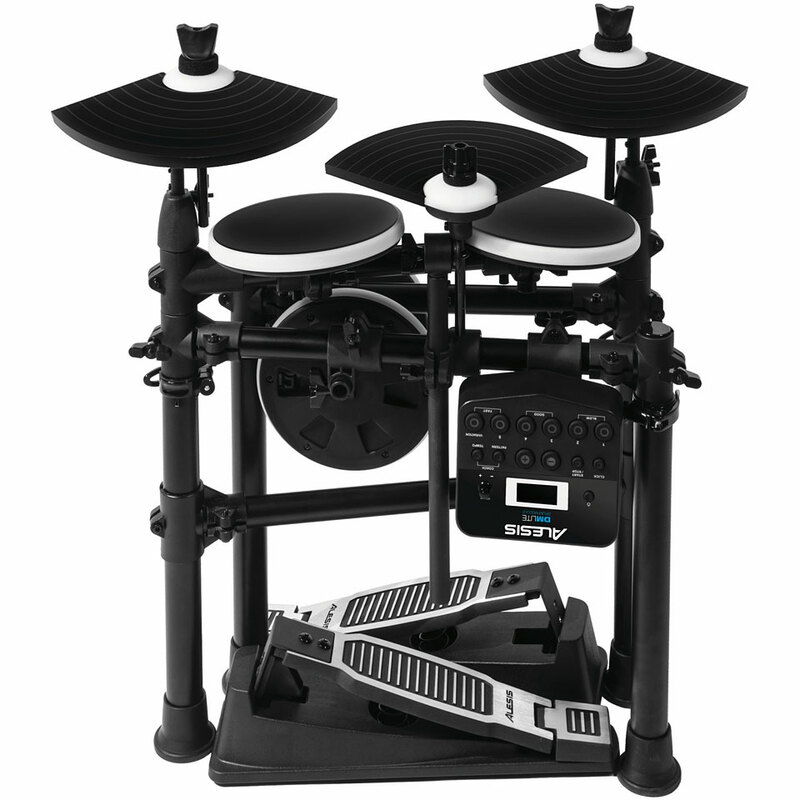 The DM Lite Kit comes with a pre-mounted, four-legged rack with all drum and cymbal pads already installed. Simply fold the rack apart, place the pads and basins in position and adjust the desired height with the quick-release fasteners - the use of tools is not required. A convenient multiple cable connects the pads, cymbals and pedals with the DM Lite module. Finally only the DM Lite module has to be plugged in and the set is ready for play. 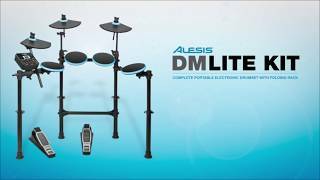 The DM Lite module contains 200 high-quality drum and percussion sounds, which in 10 prefabricated kits cover various musical genres. Furthermore, the DM Lite module offers numerous additional functions. A built-in learning mode, 30 pieces of music for the accompaniment and an integrated metronome are perfect for practicing. 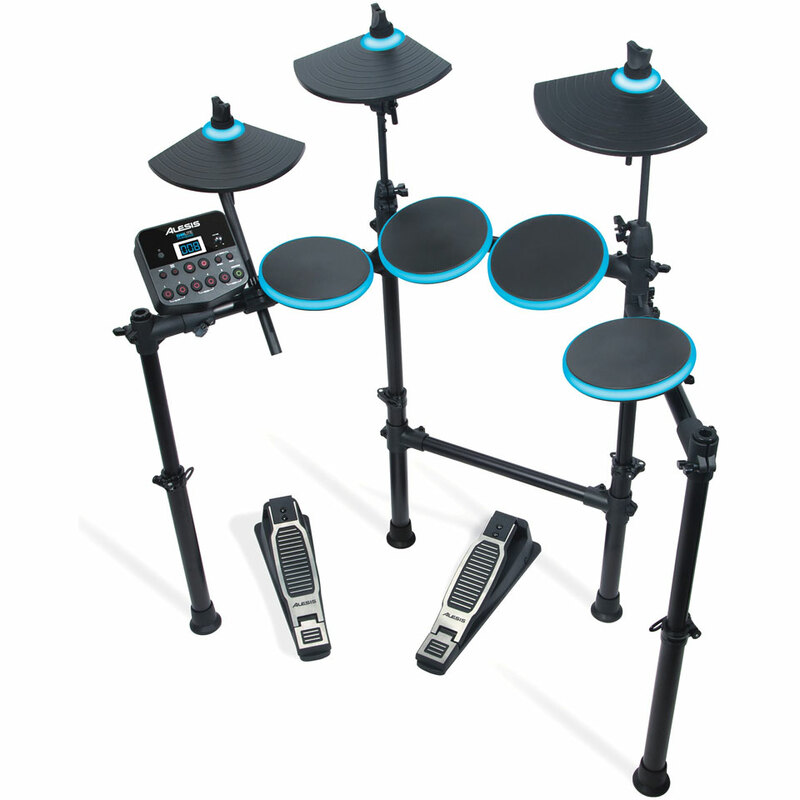 The various connections of the DM Lite Kit additionally extend the possibilities for rehearsals and music making. 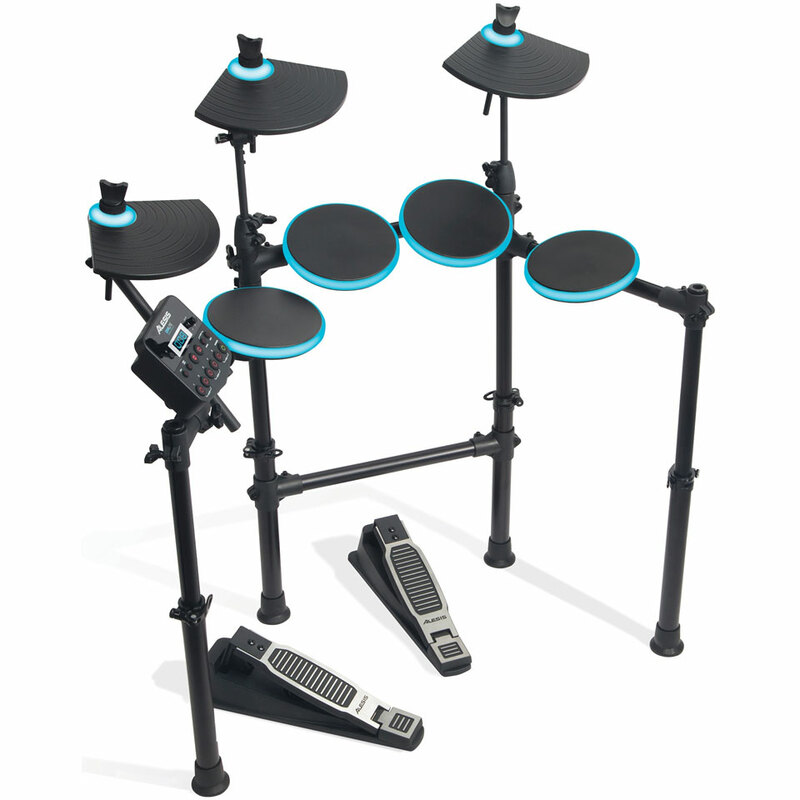 The DM Lite Kit contains four drum pads - one snare and three toms. There are also three Cymbal Pads - Hi-Hat, Crash and Ride. Pads and cymbals are each surrounded by an LED ring, which lights up blue as soon as the pad is played - this creates a mini-lightshow during playing. 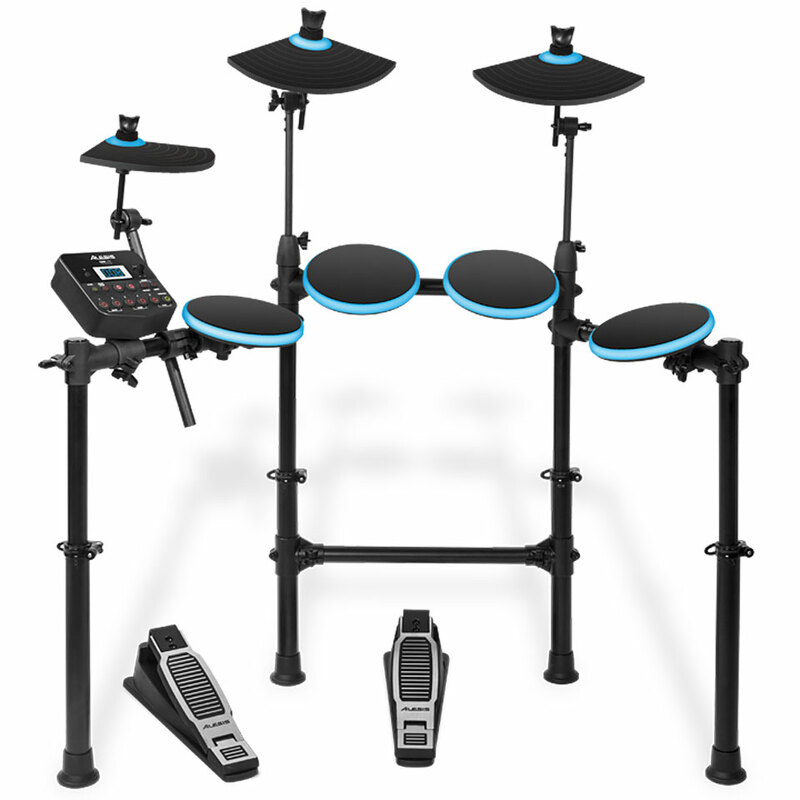 The LEDs also have a practical use: in the various learning and demonstration exercises they show where they have to be played and also show the way to the drummer. Two foot pedals complete the DM Lite kit. The first is a hi-hat pedal for an open or closed playing style. The second is a kick-dynamic kick trigger pedal with piezo sensors. In contrast to simple on / off pedals, the play-on speed is transferred directly to the level of the volume, providing an authentic kick drum performance. This item was given an average rating of 4.5 out of 5 stars. No review about this product has been written yet. 28 ratings exist without a text or these reviews are written in another language.